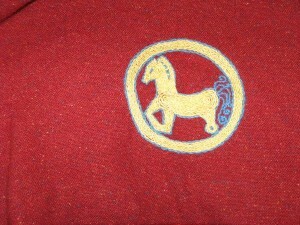 Roundel embroidered on my best friends Viking coat. 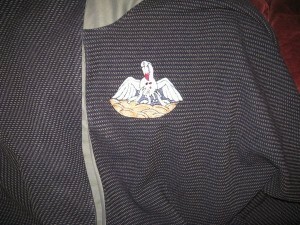 There is a second embroidery on the other side of the bottom of the coat. Close up of the design. Very quick turn around. 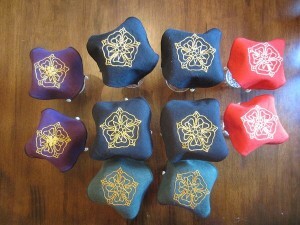 Design provided for Queen’s cup cover favors at Gulf Wars. I ran the project locally and stitched 10 of the 20 pieces. Wyvern put on cloak. I just did the embroidery. 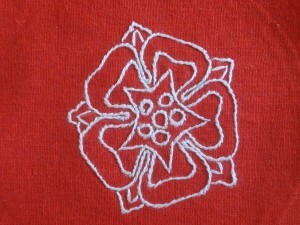 I have done a handful of embroidered commission pieces for different peerage ceremonies or other projects. Some I have designed the design and some have had artwork supplied. 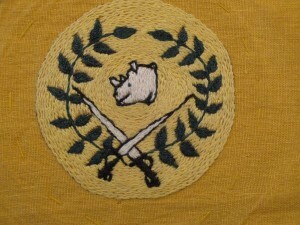 In all cases I have done the embroidery. 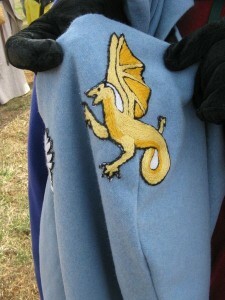 James of Middle Aston’s Pelican cloak. 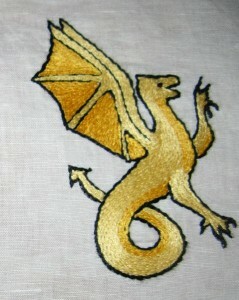 Embroidery, design and stitching. 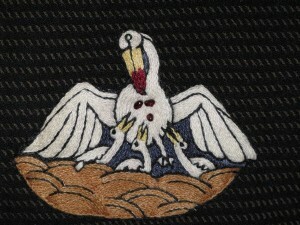 Close up of the embroidery on Master Jame’s Pelican cloak, the stitching is done with a wool/silk blend and there are three tiny garnets for the drops of blood.